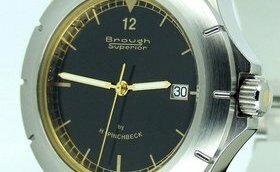 England is turning back the clock to its halcyon days as a leading light in watchmaking, engineering and craftsmanship, thanks to a joint initiative between Harold Pinchbeck Ltd, an independent watchmaker from Lincoln, and Brough Superior, the iconic independent motorcycle manufacturer. After Brough Superior’s successful record attempt on the famous salt flats at Bonneville, Utah in 2011, they are returning in late August with two machines and three riders! 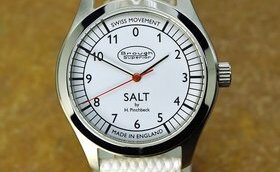 We have created a special watch to celebrate these attempts. 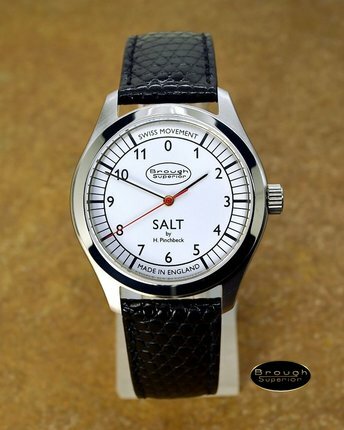 Its classic black-on-white dial is influenced by traditional English instrument design (even down to a ‘zero’ at the 12 o’clock position). 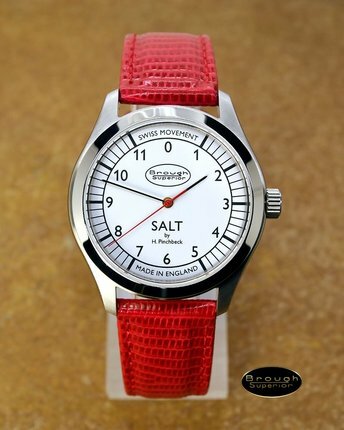 The SALT is a stylish, easy-to read, high-specification watch with stainless steel case, sapphire glass and screw-down crown. 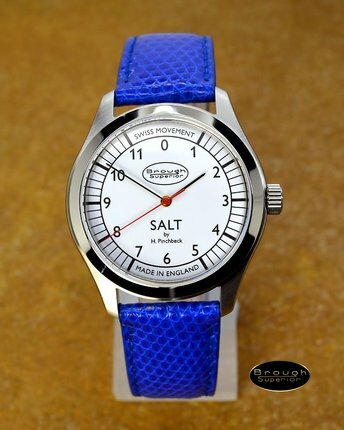 It is fitted with a high quality Swiss movement, in either quartz or automatic versions, with a choice of hand-made Italian lizard leather straps. 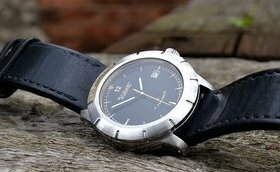 Like all Harold Pinchbeck watches it is covered by our 90-day ‘no-quibble’ guarantee of satisfaction, so that you can buy with complete confidence, as well as our 5-year mechanical warranty. An unashamedly opulent watch, the SS100 blends the magic of the World’s most prestigious motor cycles with a watchmaking heritage whose origins were in 18th Century London. 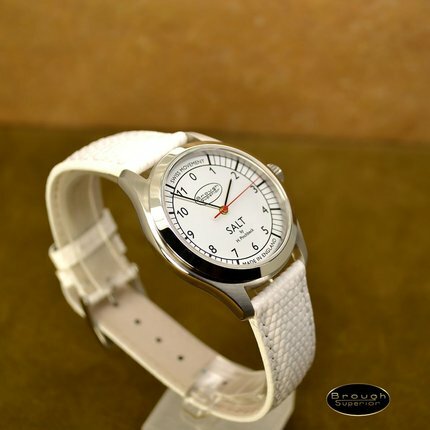 Truly a ‘small object of desire’, it will look superb with any attire and in any setting. 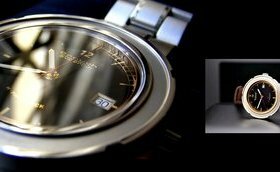 Like the machines it honours, it exemplifies the best in engineering and gentlemanly good taste, and it has the good manners not to shout about itself!